September begins with a bang for the Misunderstood. After everything that happened at that fateful metro stop, they have to go back to school to prepare for the end of year exams. Valeria, Raúl, Meri, Bruno, Ester, Alba and Paloma start the new semester with plenty of enthusiasm, but stuff from the past is threatening to become a problem: what happened that afternoon and why is it casting a shadow over their days together? What secret is Valeria hiding from Raúl? What will become of Bruno, Alba and Ester? Which character’s life will change after meeting someone very special? The end of the Misunderstood Club will answer all these questions and more. 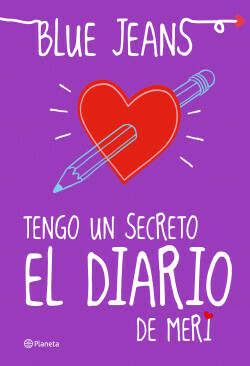 I Have a Secret: Meri’s Diary brings an end to the most popular romance series for young adults of recent times. This Club of the Misunderstood has become a part of everyone’s lives; with them you’ll never feel lonely again. omeone very special? The end of the Misunderstood Club will answer all these questions and more.